Feed your mind and achieve your financial dreams — one article at a time. 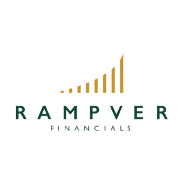 Quoted from Rampver Financials’ President & CEO Rex Ma. A. Mendoza, in a market view last February 6, 2018. Know the initial steps in framing your financial future. Discover why mutual funds are gaining popularity amongst Filipino investors these days. Mutual Funds: How Do They Work? A brief walkthrough on one of the most popular investment instruments in the Philippines. The upside of regular investing, according to research.